Inkjet Printer to Manual Plotter- Plotting Lines Controlled by a Joystick! This article is updated every week, with new ongoing developments in the project. If you like to open up old electronic appliances to see what's inside, and salvage a few useful components, this article is for you. In this article, we are going to learn about the basic idea involved in converting an inkjet printer into a plotter. Project overview- There's next to no difference between the mechanism of movement in inkjet printer and a RC Car. 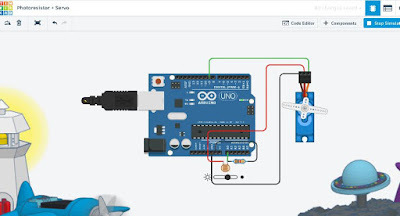 So you don't need any prior experience in Arduino. As every printer does not contain the exact same setup of components inside, we'll be talking about the general idea of what is to be done. A carriage holding the cartridges, responsible for horizontal motion of the plotter. The mechanism that advances the paper, (pulls it forward). Rest isn't needed for the project. Both of them simply consist of a motor and some mechanical structures facilitating the movement of the carriage. 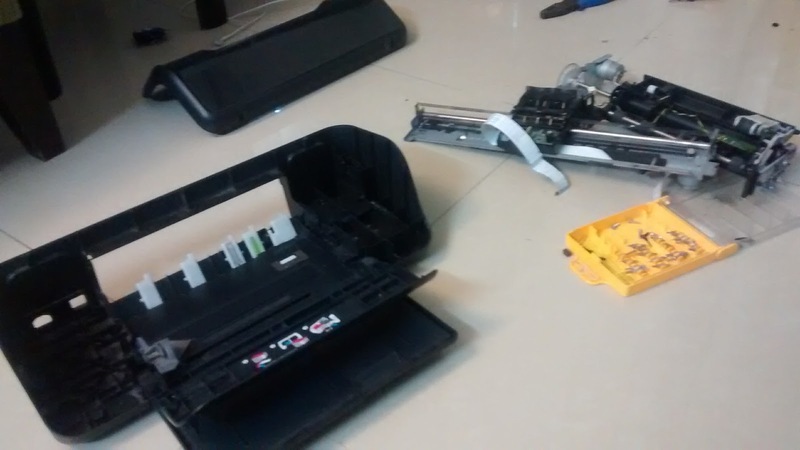 Make sure you pull out all the ink pads present in the printer before dismantling deep! 2. The mechanism that pulls the paper in from the feeder allows the paper to only move in one direction (that's pretty much why you never see the paper moving reverse in the printer). So we will have to remove the entire paper feeding mechanism and insert the paper manually from the rear. 3. 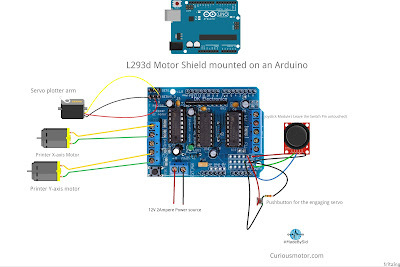 Don't be afraid to cut out the unnecessary plastic, acting as an obstruction in your project, especially that part that will be holding the servo. The cartridge holder can be easily pulled out, I realised this after a lot of attempts to cut it off. The above code is the basic code to control the movement of the carriage and the paper using the joystick. Experiment all that you want to! You can also write codes for drawing a perfect shapes like square or circles, at the press of a button. I will be uploading the codes for the same on this article soon. To read further updates on the project subscribe to this blog to get notified at every new addition. just wanna say hello and thank you for the inspiration. I have two cheap printers which are to expensive to 'refill' as long as you can buy new one in a price of new ink cardridges and till now I have no idea how to use them. I love the idea of salvaging old equipment, so I am looking forward to see Your next projects. The cost of cartridges, was pretty much what inspired me, as well, to work on this project. I'm still at it, trying to add more functionality.